I have a few good deals for you on some of my apps on today’s Black Friday. These deals last from today, Black Friday (November 25th 2016) to inclusively Cyber Monday (November 28th, 2016). Stay up-to-date on all things Eternal Storms Software and join my low-frequency newsletter (one mail a month at most). I’d like to quickly inform you that, as part of TwoDollarTuesday, I have a sale of Yoink going on right now. 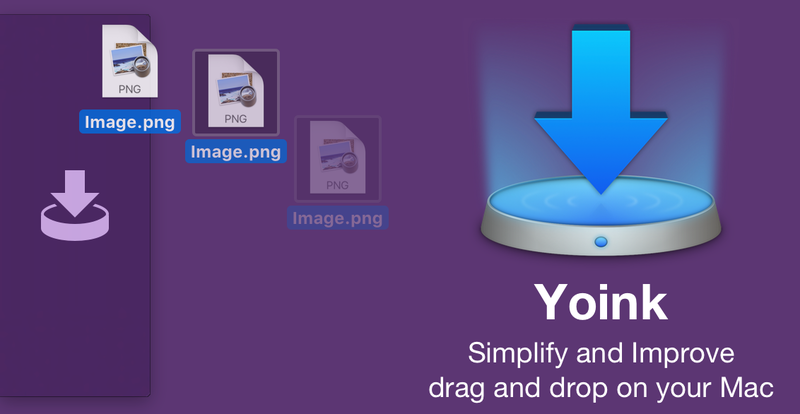 Yoink is 72% off on the Mac App Store ($1.99 instead of $6.99) for a limited time. Also, yesterday I released an update for it, bringing it to version 3.2.6, fixing an issue with Microsoft Outlook and the Dock. It also brings minor improvements in low-memory situations. My name is Matthias Gansrigler. I’m an independent software developer at Eternal Storms Software, carefully crafting apps for Mac, iPhone and iPad.